Sadhguru. İnner Engineering: Technologies For Wellbeing. in Heydar Aliyev Center buy tickets online. Delivery of tickets for the event Sadhguru. İnner Engineering: Technologies For Wellbeing..
Sadhguru. İnner Engineering: Technologies For Wellbeing. 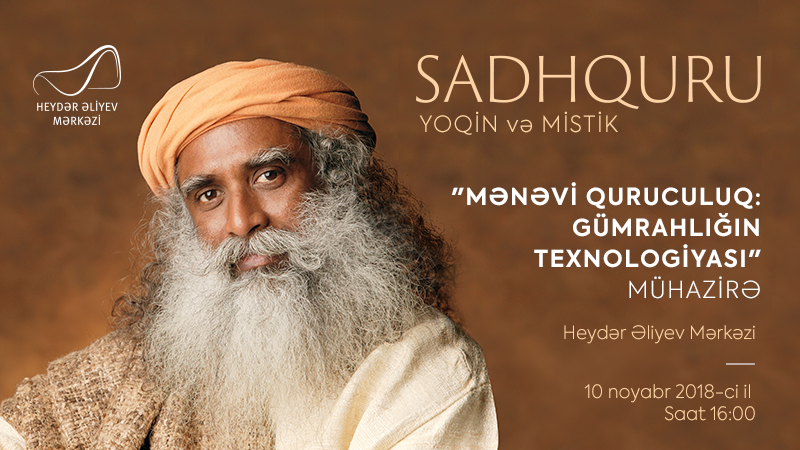 On November 10, Sadhguru, a recognized Indian yogi and mystic, is to present for the first time at the Heydar Aliyev Center. The subject of his presentation is Inner Engineering: Technologies for Wellbeing. The subject constitutes a comprehensive system derived from centuries-old yoga studies aiming at a profound and sustainable personal transformation. This includes techniques to accomplish harmony by bringing together the human body, mind, senses, and energy to the culmination. No physical training or knowledge of yoga is required, and the techniques are easily adaptable to any lifestyle.